The Cohen-Cohen Agency has received many rewards because of its fantastic sales team. The Agency served as part of the Executive Council with American Income Life. The Cohen-Cohen Agency also finished as the top State General Agency for Category II in 2008. Cohen-Cohen also led a quality seminar on behalf of American Income Life to help teach new State General Agents how to maintain a quality business. 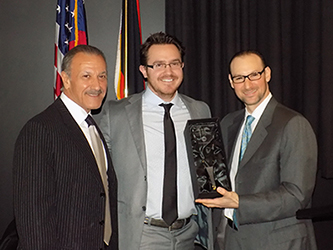 The Cohen-Cohen Agency looks forward to competing for, and receiving, many more awards in the future. 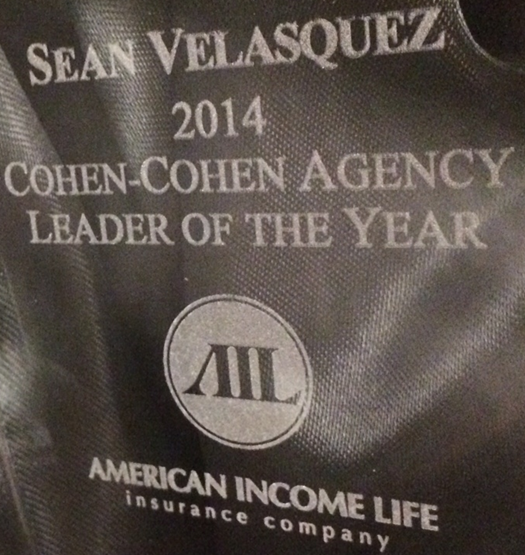 “Focus on the needs of your team members.” This was the core philosophy that guided Sean Velasquez in earning the Cohen and Cohen Agency Leader of Year Award for 2014. As a Managing General Agent and Regional General Agent, Mr. Velasquez continues to build an outstanding team. He led the agency in production for new agent in 2014; he earned eleven Manager of the Month awards. His team is known for a family environment; team members are bringing in candidates for new career opportunities at the Cohen and Cohen Agency. Mr. Velasquez, a U.S. Air Force veteran, previously held numerous leadership roles for 24 Hour Fitness. Each year, hundreds of qualifying American Income Life Sales Representatives and their guests have the opportunity to attend the American Income Life Insurance Company Annual Convention, held in various popular locations. Conventions have included Caribbean cruises, the Atlantis Resort at Paradise Island in the Bahamas, Las Vegas, Hawaii, Walt Disney World, Scottsdale, Puerto Rico, Beverly Hills, New York City, and Miami Beach. In 2012, American Income Life representatives who qualify are heading to the Hard Rock Hotel and Casino Punta Cana in the Dominican Republic. The resort is all-inclusive with casinos, great food, and awesome nightlife. AIL/NILICO CEO Roger Smith talks about the 2013 Convention in New Orleans. To begin your journey to qualify for next year’s convention in New Orleans, contact us today!